Controllers, in the form of control boxes and control pads, serve as a central platform where all hardware devices connect in order to be controlled. Expansion Boxes provide additional serial, IR, and relay ports to flexibly increase the number or type of connections to hardware devices in your installation. 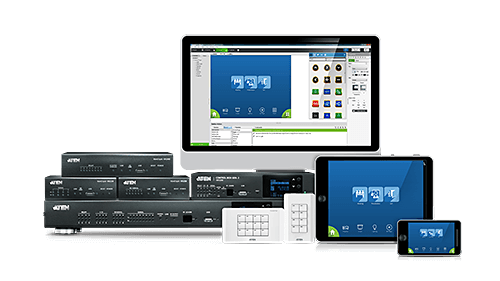 The Mobile App allows for control of hardware devices wherever you are, while fully customizable keypads control interfaces from a standard wall-mounted faceplate. 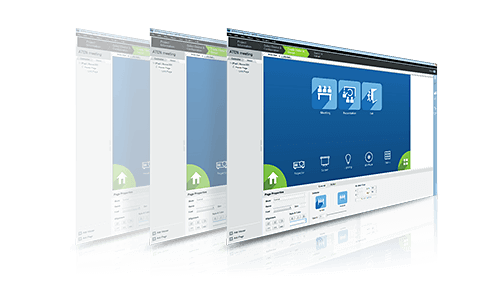 Features Configurator Software that lets you configure settings and GUIs for controls used on any mobile device, as well as additional software tools for setup. A control system is about technology collaboration, hardware-software integration, and bringing integrated control and system automation to your applications. What is the ATEN Control System? What do you need to create an environment for the perfect meeting, training program, or interactive video conference? Find out in this video! 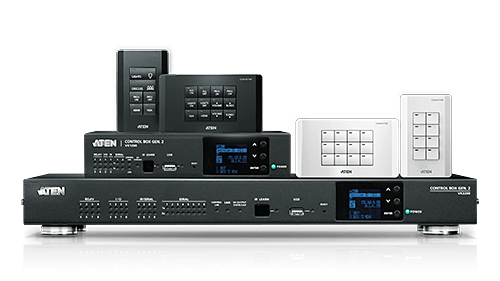 What devices can be controlled by the ATEN Control System? How is the setup done with next-to-no programming skills? Take a look at this video to find out! Select from the comprehensive ATEN Control System portfolio to build a solution configured for your application needs. 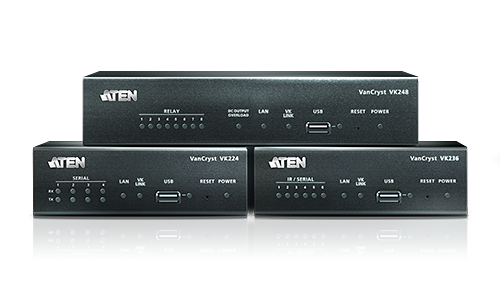 Deploy the ATEN Control System in 3 simple steps: Connect, Configure, and Control. Learn how to set up the system step-by-step with these training videos. To streamline your setup process, access and download 3rd-party device drivers from this database of ATEN-certified drivers.